Where to Stay in Lisbon: Inspiring Bed and Breakfast Options. 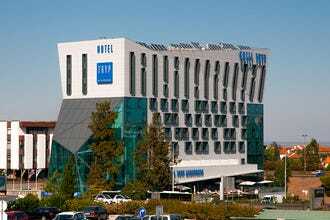 Budget hotels in Lisbon: Places to stay for the cost-conscious visitor. Lisbon Airport Hotels: Where to Stop Over in the Portuguese Capital. Boutique Hotels in Lisbon: Where to Stay in Wonderful Bijou Boltholes. 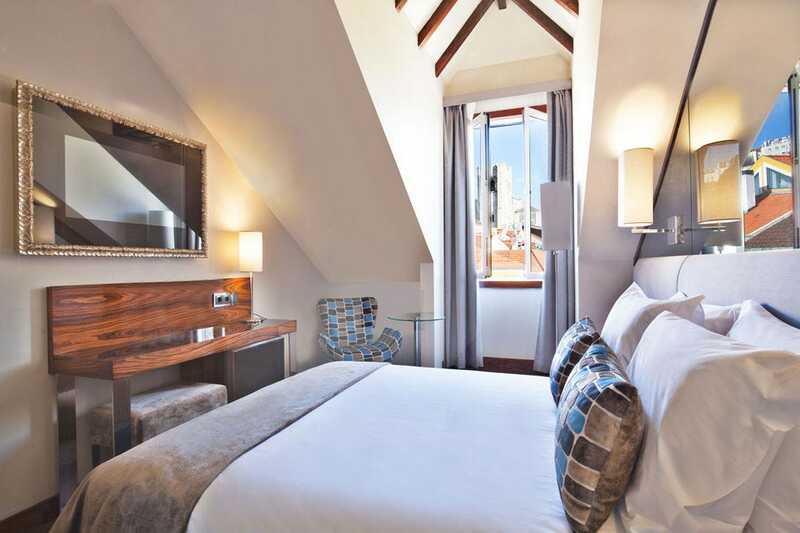 Boutique hotels in Lisbon represent an outstanding choice of accommodation, anything from historic bijou boltholes to some of the most modern and contemporary four- and five-star properties in the city. The wonderfully evocative 19-room Hotel Santiago de Alfama, sited near Lisbon’s oldest quarter, is fashioned out of a former 15th-century palace. Its interior, however, is strikingly modern and minimalist. 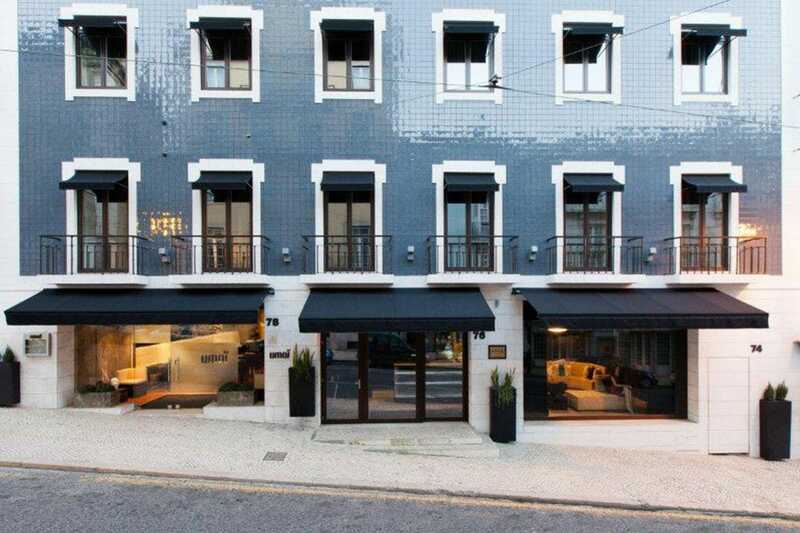 Also wrapped in an historic façade but revealing a contemporary soul is the appealing behotelisboa. 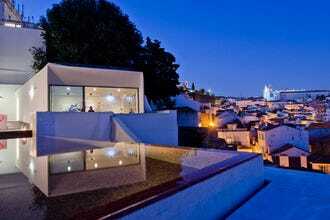 The achingly cool Memmo Alfama Hotel is sited within the boundaries of Lisbon’s venerable Alfama quarter. 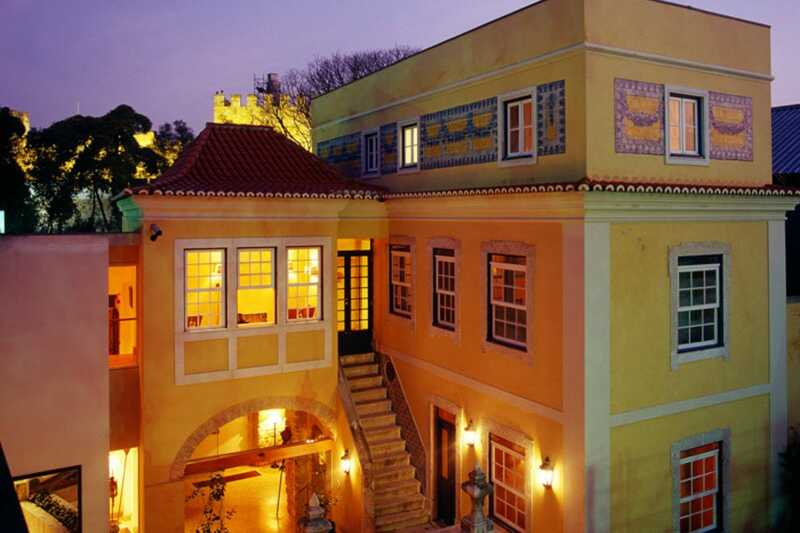 Not far away is the lovely Solar do Castelo, once the home of a nobleman and the only hotel set inside the walls of the city’s landmark castle. 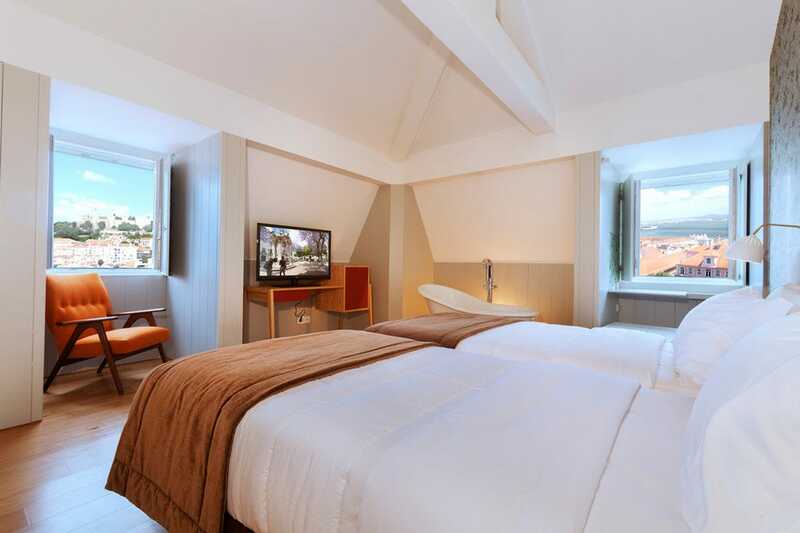 Over in Chiado is the ever-popular Bairro Alto Hotel in Chiado, distinguished by its classical design and which overlooks one of the city’s most picturesque squares. Similarly, the eye-catching 9Hotel Mercy (named after the street it’s situated in) shines under the spotlight of a 19th-century façade. Another boutique hotel property known for its architectural clout is the charming 1930s Hotel Britania, an art deco gem. The super cool Lisboa Carmo Hotel stands over the leafy Largo do Carmo in one of the city’s most fashionable districts while the Turim Terreiro do Paço Hotel sits near the capital’s grandest square. 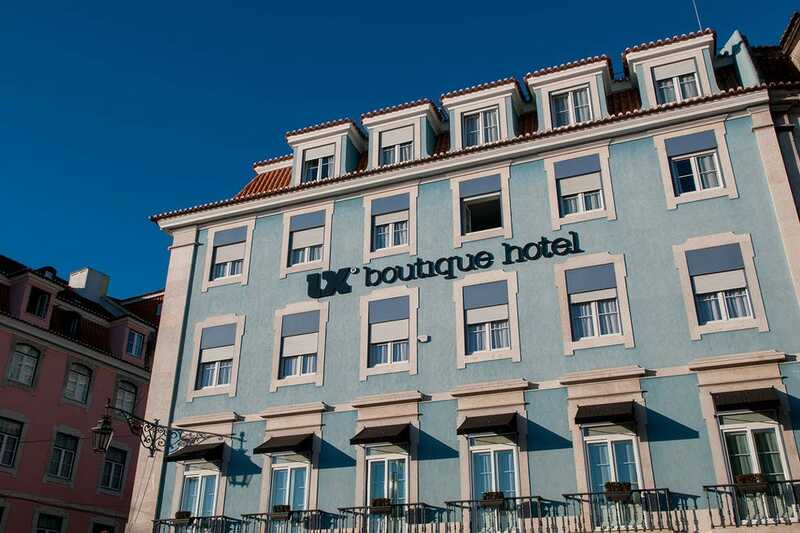 And down in Cais do Sodré, known for its animated nightlife scene, is the smart LX Boutique Hotel, another great base from which to explore the Portuguese capital. The five floors of this smart boutique property are individually decorated in soft pastel hues. The bedrooms occupy four floors and are branded Xssential (backstreet views), Xpanded (city views), Xecutive (riverfront views) and Xplendid, a stunning loft suite with enhanced river and city views. The hotel is wrapped in an early 20th-century façade and overlooks the lively Cais do Sodré district. Careful renovation has produced an elegant and contemporary interior that's made excellent use of the compact floorspace. A bright fresh colour scheme helps accentuate the space. On the ground floor guests can indulge in authentic Japanese cuisine and tapas at the Confraria LX restaurant. A cluster of nearby bars gives the location extra buzz and the Chiado and Bairro Alto districts are just ten minutes away. Located in the heart of Lisbon's lively Baixa (downtown) district, this attractive and modern accommodation option is sited within walking distance of several city sights, places to see like the cathedral and Arco da Rua Augusta. A variety of shops, cafes and restaurants are clustered nearby. 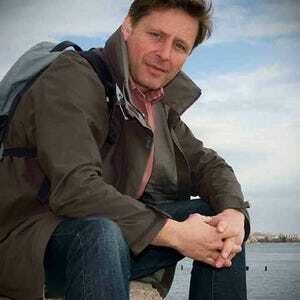 The 50 ensuite guestrooms are modest in size but big on appeal ––" some offer views across the River Tagus. All feature climate control and flat screen TV. A number of rooms are furnished to suit those with mobility issues. Careful refurbishment has preserved the building's 19th-century façade and interior architectural features, notably on the ground floor where the lounge bar and breakfast salon is situated. Modern design flourishes provide a contemporary contrast. The hotel is geared towards couples and the business traveller, and amenities extend to a business centre and WiFi in the public areas. Terreiro do Paço metro station is a ten-minute stroll and connects the area with Lisbon International Airport. Attention to detail is an outstanding hallmark of this graceful four-star boutique bolthole. Fashioned out of a grand old townhouse and sited overlooking pretty Largo do Carmo in Lisbon's upmarket Chiado district, the hotel effortlessly melds the classical with the contemporary to present the guest with a choice of elegantly styled accommodation complemented by sleek, modern flourishes that enhance the overnight experience. Depending on the room, guests (a good mix of family, leisure and business travellers) can gaze over to Castelo São Jorge, the River Tagus or the famous Carmo Square. Amenities include LED-TV, safe and mini-bar, and the wi-fi is free. 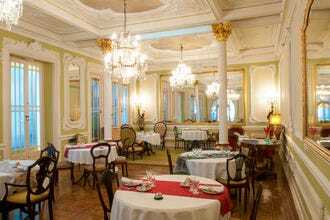 Breakfast is taken in the ground floor Maria do Carmo restaurant, which is also noted for its traditional Portuguese cuisine and Iberian tapas-style snacks. A sommelier is on hand to pair the gastronomy with a selection of great wines. Modernist architect Cassiano Branco (1897-1970) designed this handsome boutique hotel property during the 1940s and Britania is regarded as one of the finest examples of late art deco style in Lisbon. 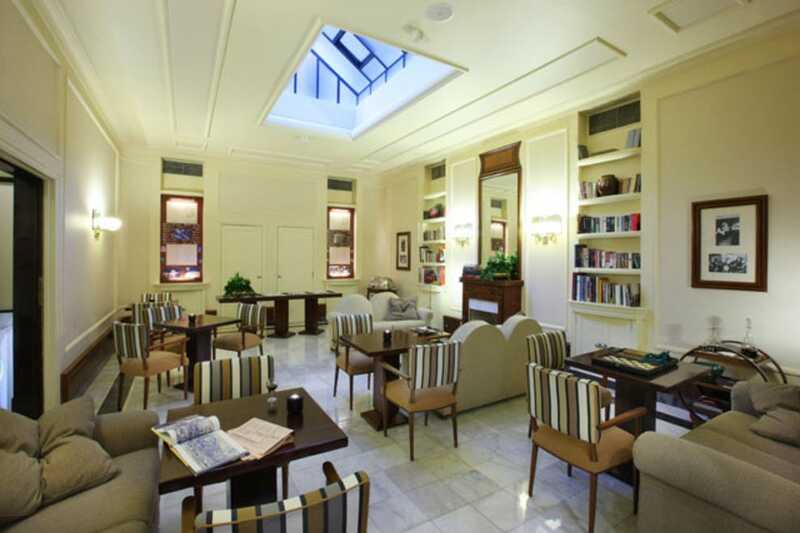 Located in a quiet backstreet that runs parallel to the central Avenida da Liberdade, Britania's marble-clad lobby replete with polished mirrors is reached through an arched iron front gate ––" a Branco trademark. Rooms are spacious and well appointed and the cork-tiled floors and restored period furniture sit well with modern conveniences like satellite TV and the free Wi-Fi service. Stainless steel and lustre light fittings exemplify the impeccable attention to detail and help illuminate the hotel's illustrious past. For a better impression of the hotel's heyday, take a look at the hair salon in the lobby, a museum piece replete with chunky barbershop chair that evokes a real sense of nostalgia. A privileged position in the heart of Lisbon's upmarket Chiado neighbourhood together with its enviable five-star amenities has won this swanky five-star boutique option a string of plaudits and enthusiastic recommendations. The 47 rooms and suites and the hotel's public areas ooze pizazz, an emotion heightened by snazzy, modernist décor and attentive and well-regarded staff. A highlight ––" literally ––" of any stay here is the fabulous rooftop bar, where the views simply mesmerize, sun downers are mixed and a hearty breakfast served. Formal dining can be enjoyed in the excellent restaurant where chef Paulo Morais has perfected the art of Asian cuisine to design a menu that reflects the taste, colours and textures of the Far East. The wines, though, are produced in Portugal and number among the most respected labels in the country. 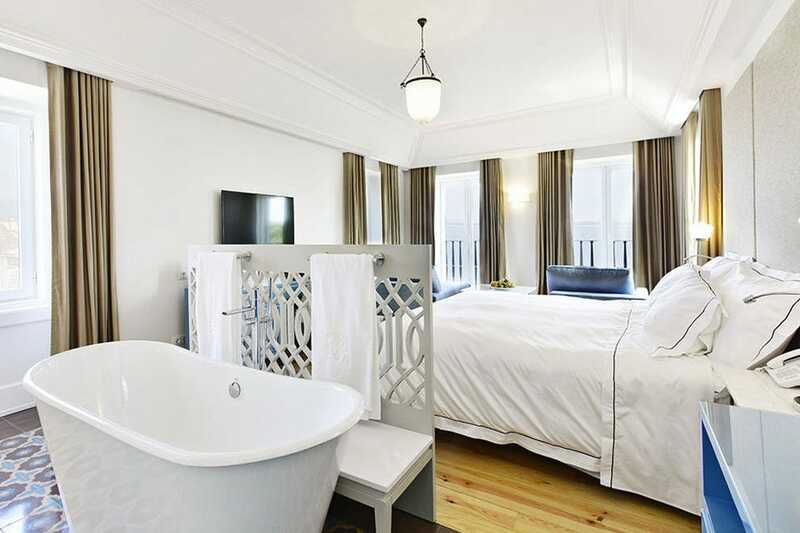 This elegant 55-room-and-suite boutique hotel property is a favourite city-break option and an ideal base from which to explore Lisbon's elegant Chiado district and Bairro Alto, its racy neighbour. Enjoying a prime position overlooking one of Lisbon's most picturesque squares, the façade of this historic building is late 18th century. Inside, the light, airy rooms are handsome but not too decorative and reflect a mix of contemporary and classic styles. Leisure facilities include a wellness centre and the Flores restaurant, where the menu lists an intriguing gourmet tapas choice among other signature dishes. An appealing feature is the panoramic terrace where fantastic views take in the city's downtown area and the River Tejo beyond. Downstairs, the trendy Igloo lounge bar is ideal for pre-dinner cocktails. Solar do Castelo is unique. 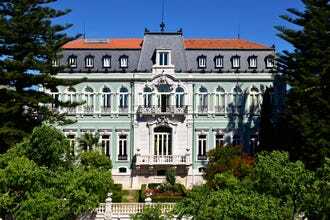 It is the only hotel located within the walls of Castelo de São Jorge, and the location is simply unbeatable. This charming 14-bedroom boutique property began life as an 18th-century mansion, itself constructed on the site of a medieval palace. The rooms, intimate in atmosphere and individually styled, surround a cobbled inner courtyard. A gurgling fountain provides a suitable water feature. Jade-breasted peacocks roam at will and add to the exotic allure of this hidden little gem while liberal use of candlelight after dark enhances the sense of occasion. Breakfast is served with an edifying view of Alfama, the city's oldest neighbourhood. Quite simply, this is the perfect romantic hideaway for couples or honeymooners. Solar do Castelo is not easy to find and is best reached by taxi. The stylish and contemporary four-star Memmo Alfama is sited within the city's ancient Alfama neighbourhood. This charm-filled boutique bed and breakfast, beautifully converted from a townhouse, is tucked away in a quiet side street not too far from Lisbon's cathedral. It's the perfect city break bolthole or romantic getaway option. Views from the 42 smoke-free guest rooms and suites take in amazing views of the vicinity and the sparkling River Tagus and are offered in several different categories. Facilities include iPhone/iPod/iPad charging docks, in-room safes and TV and radio. Amenities extend to complimentary Internet access, daily newspapers and 24-hour loyalty fridge. An outstanding feature is the hotel's funky Wine Bar positioned over a wood deck terrace where a small outdoor pool is sunk. The surrounding views are simply jaw dropping, especially at dusk when the old quarter starts to sparkle. Some of the 39 ensuite units of this conveniently located boutique hotel are fashioned within its loft, making the so-called Mansard rooms much sought after for their quirky interior design and singular character. Actually, every room radiates a contemporary individual appeal, which makes this stylish property a favourite with anyone who appreciates a modern, arty-ish environment. The building itself has been completely renovated although the architects, in keeping with downtown Lisbon's historic veneer, have been careful to maintain the façade's 19th-century aspect. This is a preferred choice with couples enjoying a city break: indeed, some rooms look out over the Baixa (downtone quarter). Depending on room classification, guest amenities include internet, WiFi, minibar, safe, flat screen TV and hairdryer. The spacious Premium rooms feature additional facilities such as tea/coffee machine, make-up mirror and a useful work area with desk. A Continental Breakfast is served daily in the Taberna 132 restaurant. It can also be prepared as room service for a modest surcharge. The hallowed shell of a 15th-century palace, Palácio dos Castros, now encloses one of Lisbon's most alluring boutique hideaways ––" Hotel Santiago de Alfama. Worthy of its five-stars, this attractive 19-room property is located on the edge of the city's oldest and most intriguing neighbourhood, Alfama. Occupying four floors, the hotel's accommodation choice numbers 13 rooms and six suites, all individually appointed with either river or garden views. If you feel like living it up, opt for the fourth floor Santiago Suite that affords a jaw-dropping panorama across the River Tejo. There are also three sets of interconnecting rooms ––" ideal for family stays! Renovation of the original palace building also allowed for the inclusion of a restaurant, A Fabrica de Santiago, where guests can savour traditional Portuguese cuisine. There's also Café Audrey and Manny's Bar for light snacks and refreshments. As befitting a five-star property, guests can expect a refined, bespoke service. Facilities extend to the posh sounding Madame Bollinger, the hotel's beauty and message salon themed on a 1950's wellness salon. Massage, facial, body scrub and body warp number among the treatments available.